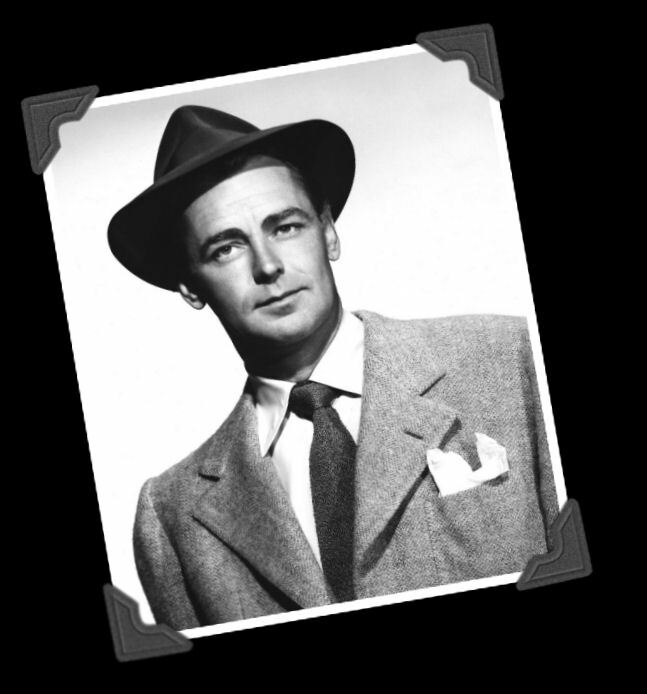 Box 13 featured film star Alan Ladd (pictured) as mystery novelist Dan Holiday. The show revolved around his creative method for finding fresh plot ideas--a classified ad which read 'Adventure wanted. Will go anyplace, do anything'. Each episode he followed up on one of the replies which came to box #13 at the Star-Times newspaper, usually solving a mystery while encountering various colorful characters. The shows were brought to life by Ladd's smooth, rich noir-ish voice. Sylvia Picker starred as Holiday's dippy secretary Suzy and Edmond MacDonald played police Lt. Kling. The show, produced by Ladd's company, Mayfair, aired over the Mutual Broadcasting System and in syndication from 1947-53.